This Wednesday, they started to trickle back into town following government assurances that their security will be guaranteed. Increased volumes of traffic in the central business district (CBD), long queues for groceries and even the hunt for basics such as bread were the order of the day, as business started reawakening in the city. Meanwhile, the MDC Alliance is desperately denying its hand in the events despite a documented trail where its National Youth Assembly Secretary General, Lovemore Chinoputsa having issued a statement, calling party supporters to join the protest called by the ZCTU. Other politicians as well as legal experts however do not buy the MDC Alliance narrative arguing they coerced and manipulated innocent citizens. 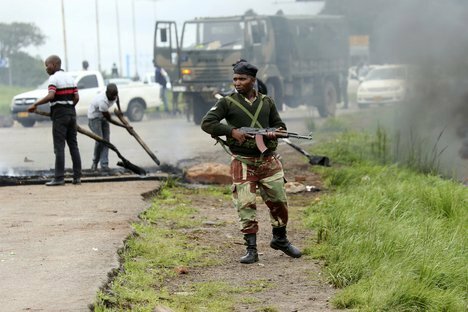 Zanu PF Chief Whip, Pupurayi Togarepi said the barbaric acts by the hooligans will not be tolerated. Florists who ply their trade at Africa Unity Square have bemoaned the protests for having resulted in loss of business. Social Economic Corrections Task Force Secretary General, Mr McNorman Chitongo and Upfumi Kuvadiki’s Scott Sakupwanya concurred that it is high time Zimbabweans, mostly youths, refrain from being used as political fodder to expedite self serving interests of politicians through the influence of social media. Affirmative Action Group CEO, Dr Davison Gomo urged the state to put in place sufficient measures to deal with elements bent on destabilising the country through chaos and encouraged the citizenry to responsibly use their constitutional right to demonstrate. Several properties and motor vehicles were destroyed with shops being looted by the hooligan protesters.